Yesterday, I posted a new song called Having a Conversation. If you missed the post, you can read and hear it here. Today's post is the song sheet for that song. 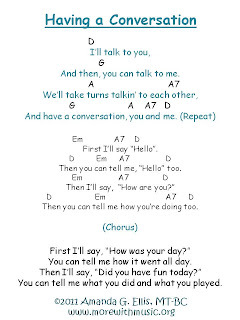 The lyrics and chords are included on the song sheet. 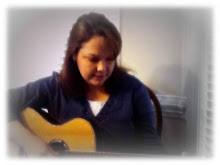 Song sheets are totally free here at More with Music, so please let me know if you would like a song sheet for any of the other songs I've posted. Thanks so much for sharing! 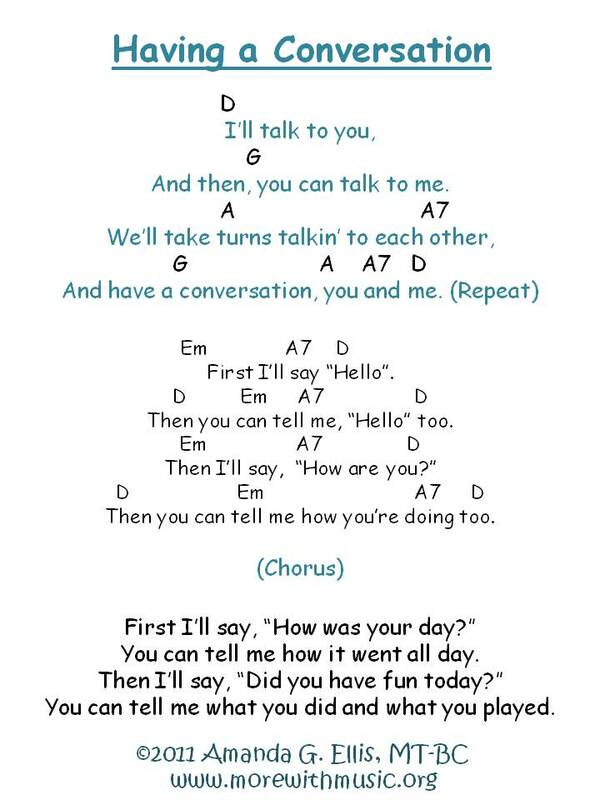 I've been looking for easy guitar tabs to teach, and this is perfect.